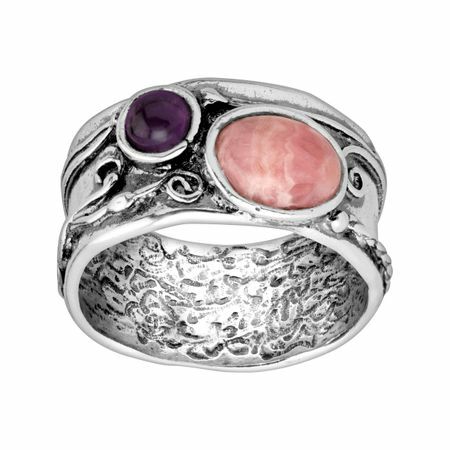 A pinkish-red rhodochrosite and deep purple amethyst make the perfect pair to complement this swirling sterling silver ring. Ring face measures 3/8 inches in width. Piece comes with a “.925” sterling silver quality stamp as a symbol of guaranteed product quality.